Proposed Change 8 to the Operative Auckland Regional Policy Statement introduced new policy provisions for outstanding natural landscapes (“ONL”) in the Auckland region. The Supreme Court’s decision in King Salmon was released after the conclusion of the Environment Court appeals on Change 8 but before the Court’s decision was released. The Environment Court reserved leave for parties to make further submissions in light of the Supreme Court decision, an opportunity that was not taken up by the appellant. 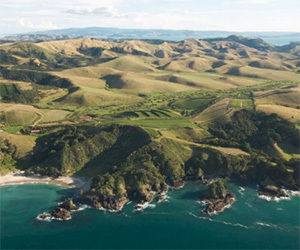 The subsequent Environment Court decision confirmed two ONL on Man O’War Station Limited’s land, at the eastern end of Waiheke Island and on Ponui Island. The High Court rejected Man O’War Station Limited’s (MOW) appeal.